We are glad to introduce ourselves as Air-conditioning,Refrigeration & Security Solution provider.In the industry since 1986. 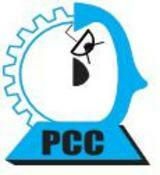 We are well known in the field of Air conditioning and Refrigeration as under the name of "POPULAR COOLING CENTRE". In the industry since 1986.Specialist in Maintenance, Installation and Repairs of all types of Split and Window air conditioners.Our scope of activities includes Design,Execution,Servicing,Repair and Maintenance of all types of Air Conditioners. With our experience and expertise, we optimize your system and ensure maximum energy efficiency, perfect air distribution and provide superior indoor air quality.We are known for providing services to our prestigious clients with customer first approach, honesty and offer most competitive rates in the town.We feel proud to claim that our name “POPULAR COOLING CENTRE” is as famous for the various activities as Goodwill we have so earned and the vast experience are the investment in our activity and this result in high quality productivity.We are just a phone call away during working hours for our customers. We also introduced design,installation, and maintenance of complete range of security solutions such as CCTV cameras,Access Control System,Biometric Access Control with Attendence system, Fire Alarm System,Video Door phone,Intrusion Alarm System and other Security Solutions. If you are interested in knowing more about our company and our services you can revert to us.